If you're reasonably tech-savvy - and we assume you are, if you're reading this website - then chances are you're often called upon for technical help and advice by some of your relatives, especially when it's time to visit over the Christmas and New Year holidays. To help you get through your traditional troubleshooting session as quickly and as painlessly as possible, we've put together some pointers that apply to most systems and most scenarios - get this out of the way first and you can start enjoying your turkey. Fortunately for us most OSes, applications and browsers now update themselves with the minimum of fuss, but there's always the chance that something's been blocked by an error or a nasty piece of malware. Once you're sat down at the relative's computer in question, check to make sure the latest version of Windows or macOS is installed - open up the Update & security option in Settings in Windows 10, or the App Store in macOS Sierra, for example (the same screen on macOS lets you check for updates to individual apps too). Make sure the default browser is right up-to-date as well. On most modern browsers, this check can be run from the 'about' page of the program. Why does it help? Well, the latest updates squash the latest bugs spotted by the developers, apply important security patches to keep out malware, and improve compatibility with the other bits of hardware and software on the system. If you can't update an application for whatever reason, uninstalling and reinstalling it from the web might be enough to overcome the problem - and before you leave it, make sure the auto-update feature is switched on, if there is one. A plethora of problems can be caused by dodgy software - from full-blown viruses to less dangerous adware programs that gradually fill up a machine with junk and reduce performance to a crawl. If you come across a family computer that looks like it's on its last legs then malware might well be to blame. If there's already an antivirus program installed, make sure it's been recently updated, and run the most thorough system scan available to look for problems. 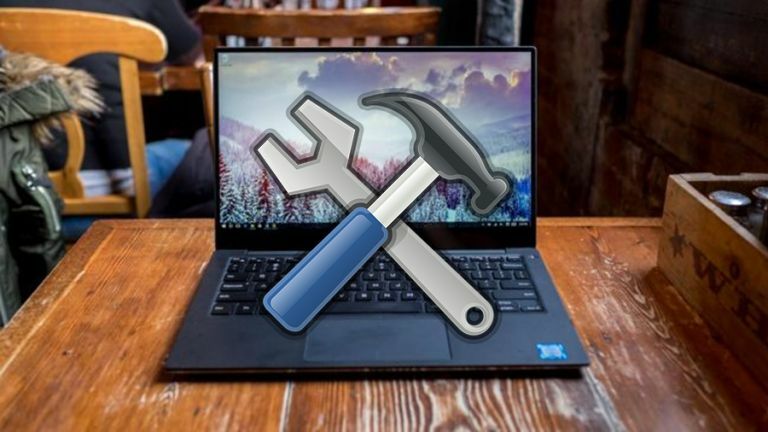 If there isn't any security software in place, get some installed, especially if you're dealing with a Windows machine - there are some excellent suggestions on TechRadar if you're in the market for some new software in this department. Free solutions have their place but it's often worth paying (or getting your relatives to pay) a little bit of cash to get something that's really comprehensive - it's likely to save them (and you) a lot of potential problems in the long run. And if you're really prepared you can bring a USB stick pre-loaded with on-demand scanners (useful if you can't get online) - the likes of Microsoft Safety Scanner, Emsisoft Emergency Kit and ClamWin Portable are all worth a look for this. Also on the topic of security: see if you can set up two-step authentication for your family members on the most important services, like those from Google, Apple, Microsoft, Facebook and Twitter. It means an extra level of protection if their usernames and passwords should get compromised. You may not think having older software and browser extensions lying around does much harm to a system but there are plenty of reasons to get rid of them. They mean extra and unnecessary work for the OS, for a start - if there are a bunch of applications starting up with Windows that never get used, for example, then that's slowing down the system for no real benefit. The same is true of a browser - it has to work a lot harder to keep dozens of extensions in memory than just one or two. There are security implications as well, because the more software there is installed, the more ways there are that unwelcome guests can find a way past the computer's defences - through a third-party browser extension your uncle completely forgot he'd installed three years ago, perhaps. Programs can be uninstalled from the Apps & features tab in the System section of Settings in Windows 10 and from the Launchpad in macOS Sierra. For browsers, find the extensions screen, and the uninstall or remove option should be fairly obvious. You might want to double-check with your family members before you start removing applications and extensions though. Just about any computer problem can be worked through and resolved, provided all of your important files are backed up somewhere - but it's a job that a lot of us don't think about tackling until it's too late. If you're feeling particularly generous this Christmas season you could make sure your relatives have a safe and robust backup strategy in place. You could even buy them an external hard drive and leave it under the Christmas tree. The right way to do this depends on the files that need backing up and how comfortable your family members are with keeping the backup routine going while you're not around. With OneDrive built into Windows and iCloud built into macOS, these are two of the simplest ways of keeping copies of everything in the cloud, ready to be downloaded again when needed - though you'll probably have to persuade your relatives to pay extra for some additional storage space. Third-party services like Dropbox and Google Drive work in a similar way - specific folders on disk that are constantly synced with the cloud. Alternatively you could opt for more comprehensive services like CrashPlan or Backblaze. Copying files manually over to another hard drive works too, but it's more effort, and cloud copies are usually needed as well - just in case a flood or fire wipes out both the computer and the external drive plugged into it.